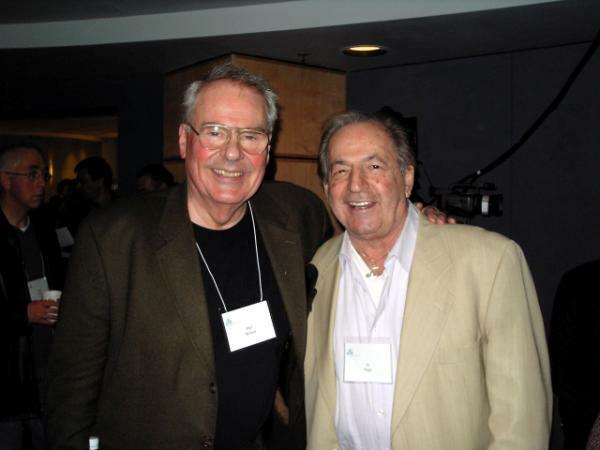 In an evening of heartfelt tributes and stirring, swinging music, the New England Jazz Alliance added five inductees into the New England Jazz Hall of Fame—Ruby Braff, Ralph Burns, Gigi Gryce, Boots Mussulli and Nat Pierce. 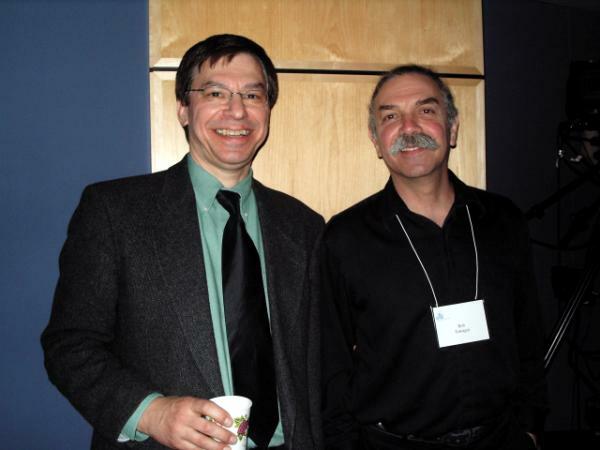 The April 9, 2004 ceremony brought family members, old friends, and fans together in celebration at Berklee College of Music’s David Friend Recital Hall. 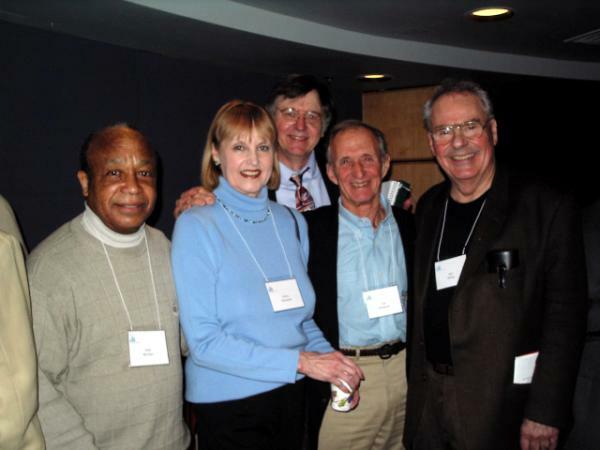 As was the case in 2001, NEJA’s college of voters consisted of many of the most knowledgeable musicians and observers of the New England jazz scene, and, once again, those chosen for the Hall of Fame were some of the finest artists in the world of jazz. All are deceased. Ruby Braff in his tribute. The event included musical tributes to the five. Among the attendees were Boots Mussulli’s daughters, Marcia Marcello, Rina Fairbanks and Janice Martino. NEJA recognized the late Vinnie Haynes with its “Unsung Hero” award. Receiving the plaque and a copy of the photo of Haynes that will become part of NEJA’s Hall of Fame exhibit were Haynes’ wife, Mildred; his son, Kenneth; daughter, Crystal; niece, Leslie Gilmore; nephew Craig Haynes; grandson Taylor; and goddaughter, Christine Sloane. Those providing the musical tributes included guitarist Jon Wheatley, pianists Chris Taylor and John Kordalewski, bassists Ron Mahdi and Steve Neil, drummers Bob Tamagni, Ron Savage and Bobby Ward, tenor sax man Andy McGhee, trombonists Phil Wilson and Tony Lada, and trumpeter Phil Person. Trombonist Tony Lada (left) and drummer Bobby Tamagni dedicated their performance to their Milford mentor, Boots Mussulli. Both were members of Mussulli’s Greater Milford Youth Orchestra. From left to right: Andy McGhee, Gloria Belastock, Brent Banulis, Ted Belastock, and Phil Wilson. 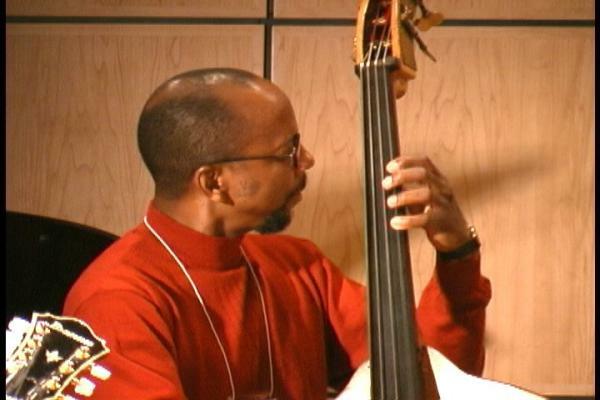 Ron Mahdi was on the bandstand for tributes to Gigi Gryce and Ruby Braff. Also given special recognition for providing decades of outstanding performances as a pianist and entertainer at the Pioneer Club and other Boston venues was Mabel Robinson Simms, who recently celebrated her 90th birthday. 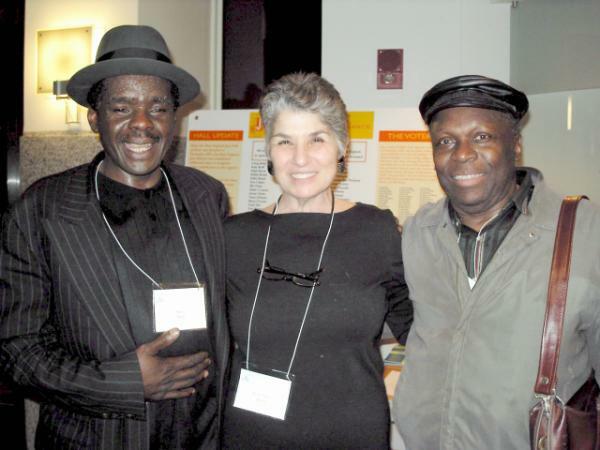 According to NEJA vice president Charles Burton Walker, Ms. Robinson is still vice president of the Musicians Local 535 Reunion Committee, which was formed to carry on traditions of the union that represented Boston’s jazz musicians from the 1930s through 1970. NEJA’s new Hall of Fame exhibit, which now features photo and biographical displays of 15 inductees, was unveiled at Boston’s Tremont Theater and will be on display at the james-williams (Mass.) 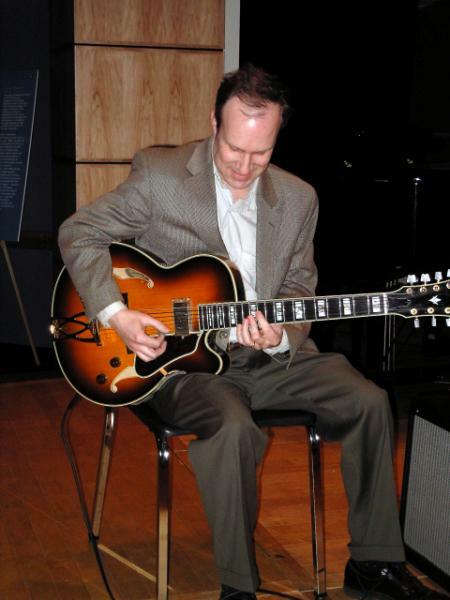 Jazz Festival on April 23-24 and at Southern Connecticut State University in New Haven from May 6-25. 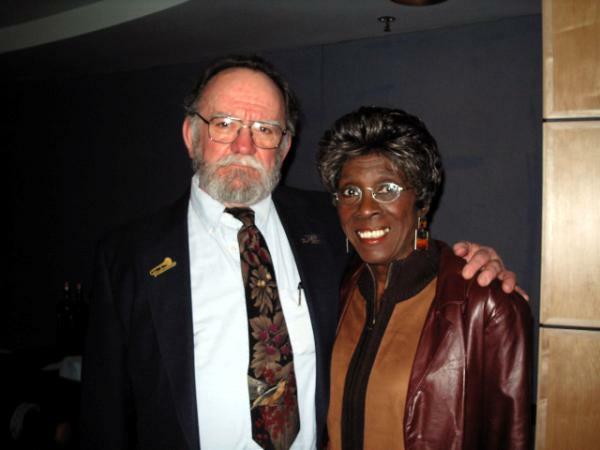 NEJA Treasurer Bob Eshback and Board Member Mae Arnette at the 2004 Induction ceremony. NEJA’s Rose Marie White with pianist Steve Neil (left) and drummer Bobby Ward. Phil Wilson and Al Vega after Wilson’s tribute set to Ralph Burns.